Whether you realize it or not, practicing mental exercises to be truly prepared is probably one of the most important elements of crisis survival. Sure, learning things like where to get emergency water and how to trap animals are important, but mental toughness cannot be overlooked. One of my friends who likes to go by his initials of D.S. asked me if he could share some of his tips concerning mental exercises to be truly prepared. Of course I agreed, so read on, because you’re about to find some invaluable advice he has that’ll hep you in a survival situation. We’re all prepping for a variety of disaster scenarios, thinking that, the more stuff we buy, the better prepared we are. But is it really that simple? When faced with utter chaos, will you have the capacity to control your emotions, to control the fear and to control your emotions so you can get to safety? For example, this one woman survived the Paris terror attacks of Nov. 2015 by playing dead to avoid getting shot. Would you have been able to do the same thing? Trying to make yourself look like you’re not breathing is definitely NOT an easy thing to do. Watching your daughter getting raped right before your eyes. Now you can see why mental exercises to be truly prepared are so extremely important. The problem is, we can’t afford to change our entire lives to join the army. We need to train ourselves and there are two ways of doing that that I know of. Number one: learn a martial art. This is as close to close combat as it gets. It takes time, money and commitment so I encourage you to do it. It’s amazing how easily we can trick our brains with simple visualization exercises. If we focus on a survival situation and make it as real as possible with sounds, smells and touch, your brains just fall for it. For example, would you be able to teleport yourself to the war in Ukraine, among rubble and desperate people running away from bombs? Could you make the experience real by imagining actual people around you, running around in disbelief, talking loudly… women screaming… babies crying, bombs exploding not far from your location? Would you be able to see yourself in the middle of your own movie, running for your life while keeping your head straight? If you’re wondering how to do that, let me give you a hint: the secret is in the details. See your wife and kids near you, see the other people, the color of their clothes, dust from head to toe… notice cars passing you by and on and on. The more little things you imagine, the better you can trick your brain. I don’t know about you but those videos from the November 2015 attacks in Paris are still fresh in my mind. The first time I watched panicked Frenchmen dragging their loved ones out of the Bataclan theatre and screaming for help, I felt I was there on those narrow streets, with them. Now, does this mean that watching it a few times I’m better prepared for a terrorist attack? Probably not, but what I can do, and what I suggest you do is to make the experience more real. Kind of like what we’ve done during the previous exercise, only this time we have some visual help and we won’t be able to imagine anything we want. Put yourself in the middle of the action and imagine the things that are not on the camera. For example, imagine those terrorists killing dozens of others and coming after you. Imagine the rain on your face, see the others running away with you, dragging their corpses. Don’t rush to watch another video just yet. Watch it over and over again, to make the experience even more real. You’ll have plenty of time to experience other settings after you’ve seen yourself surviving this one. 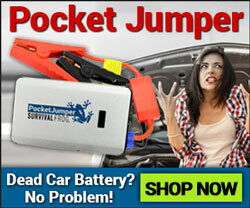 Things like flash floods, home fires, firearm assaults… you’ll find plenty of videos online. And all you have to do is put yourself in the middle of the action. Also, if you’re watching a survival movie or a TV series such as the walking dead, don’t just watch it like everyone else. Put yourself in the shoes of one of the actors and see yourself survive. Ask yourself: what would I do if I were really trapped in there with those zombies. Then compare with what the screen writer thought of. The problem with small goals is that they create small expectations, which leads to laziness and poor results. In addition, many people think that, as long as they have them, half of the work is done. More like 1% of the work is done, I would say. You not only need bigger goals but also to work out the details on how you will achieve them. Let me give you a specific example, let’s say your goal is to have a 3-week stockpile. First, I would re-set the goal to be a 1-year stockpile. Even if you don’t ever achieve it, you’re going to have a bigger stockpile than if you continued to cling to the old one. Second, I would work out the details. It’s not enough just to have the goal and then randomly start buying things. This exercise may be the weirdest of them all but you’ll be surprised by its effectiveness. Have you noticed that when you’re in pain, you can’t do anything or make decisions? It’s hard to focus on something else, right? Well, in a survival situation, many people don’t realize that they might get injured before getting to safety. I remember this one documentary about a woman who got bit by a shark. When she told the story afterwards, she said that, as she stood on the side of the boat after being rescued, though she noticed her leg was gone, all she felt was a big relief that she was still alive. The excruciating pain that one would have to experience was blocked by her brain (at least partially) with this immense relief. How would you react if you got injured? Let’s “find out” by imagining it. See yourself running from an angry mob. At one point, one of them cuts your forearm with a knife. Can you imagine the cut and the sharp pain that comes with it? Focus on it, make it as painful as possible. Once you master that, use the visualization exercise we talked about to see yourself successfully getting to safety. Don’t forget to focus on the pain this whole time, because, if this were for real, you’d feel it every step of the way. Every self-help book ad blog tells us that, right? Well, if you don’t do these exercises, you won’t get the results. It’s that simple. You don’t have to make a big deal out of them, you just have to become good at creating these virtual realities. 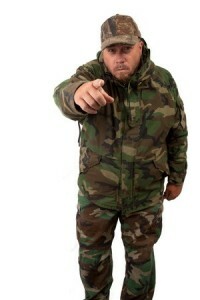 It’s the least you can do to cover one of the biggest holes in many prepper’s plans: mental toughness. All in all D.S. is exactly right. You MUST take action. Failure to do so is what will cause you to wind up on the crap end of a survival situation. The best part about all of his advice is almost all of it can be done for free. Sure, you could hire a coach or something to that effect. 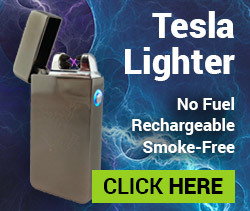 But why do it if you don’t need to? When it comes to spending money on getting prepared the best thing to do is just get the essentials. Nothing less, and only get more if you’re so inclined. One of the most important aspects of preparedness is having a reliable means to cook and prepare food. Personally I like camp stoves because they’re lightweight, portable, dependable, and can help make camping and backpacking along with survival situations a lot easier to deal with. 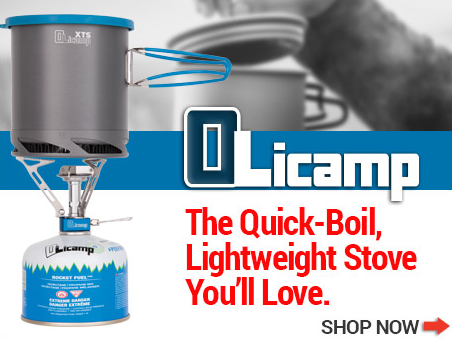 The OliCamp Vector and XTS Pot stove combo is one of my personal favorites owing to its lightweight design and it’s ability to cook food in a flash. To get your own OliCamp Vector and XTS pot at a great price click here or on the image below. 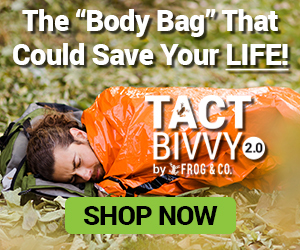 This entry was posted in Emergency Preparedness, Emergency Survival, Prepping, SHTF and tagged bug out bag, bug out bag essentials, DIY, DIY Survival, prepper hacks on April 17, 2016 by Survival Frog.